EU Council President Donald Tusk has urged EU leaders to resist the urge to humiliate the United Kingdom at tomorrow’s crucial Brexit summit. In a letter to leaders on the eve of the meeting, Mr Tusk suggests the leaders should approve a flexible Brexit extension that will allow the UK to leave at any point in the next year if a deal is agreed. Mr Tusk rejects British Prime Minister Theresa May’s proposal for a short extension until June 30 as there is “little reason” to believe the Withdrawal Agreement will be ratified by the House of Commons before then. “This is why I believe we should also discuss an alternative, longer extension. One possibility would be a flexible extension, which would last only as long as necessary and no longer than one year, as beyond that date we will need to decide unanimously on some key European projects,” his letter says. Mr Tusk notes that some EU leaders have “raised concerns” that the UK’s continued presence in the EU would pose risks for the remaining 27 members. “To address them we would need to agree on a number of conditions: no re-opening of the Withdrawal Agreement; no start of the negotiations on the future, except for the Political Declaration; the UK would have to maintain its sincere cooperation also during this crucial period, in a manner that reflects its situation as a departing member state,” he says. And concluding his note, Mr Tusk asks EU leaders not to be influenced by “negative emotions”. “We should treat the UK with the highest respect, as we want to remain friends and close partners, and as we will still need to agree on our future relations. Neither side should be allowed to feel humiliated at any stage in this difficult process,” he says. 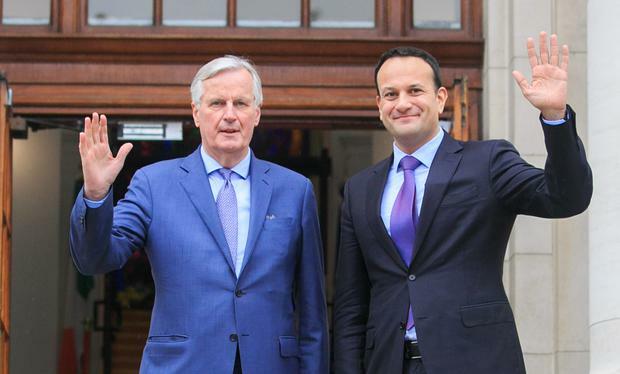 Separately, Taoiseach Leo Varadkar has said EU leaders should “always leave a light on” for the UK in case they want to re-join the EU in 10 or 20 years’ time. Mr Varadkar said that even at this late stage he would like to see Brexit cancelled – but failing that the existing Withdrawal Agreement represents the best outcome. He told the Dáil that he expects the UK to leave but Ireland would support welcoming them back “with open arms” in the future. Ahead of a crucial meeting of the EU Council tomorrow, the Taoiseach is “confident” that the EU will agree to delay Brexit beyond this Friday – but warned that the extension date must be acceptable to the UK. During a phone call last night, British Prime Minister Theresa May stressed that the UK must be in a position to leave the European Union once the Withdrawal Agreement is ratified in the House of Commons. Read More: Explainer: What are the key events for Brexit this week? The leaders of the remaining EU27 meet in Brussels tomorrow to consider a request from Mrs May for an extension until June 30. A majority of capitals are understood to favour a much longer delay, possibly of up to one year. Mr Varadkar cautioned that while the EU will make the decision, it must be one that the UK is willing to accept. “We don’t want to cause a crash out on Friday,” he said. The Taoiseach told the Dáil, the Irish Government prefers an extension to no-deal. However, he said there are “certain things” within the Withdrawal Agreement that would upended if the delay is too long. Among those are some target dates for agreements on future relationships. Officials in Paris said today that a 12 month extension would be “too long” but Mr Varadkar told the Dáil he believes French President Emmanuel Macron is open to some delay. “It’s fair to say that he is certainly open to it. I’ve no reason to believe that France would veto it. Certainly he wants to know about conditionality,” Mr Varadkar said.